William Morrow Paperbacks, 9780061759574, 256pp. 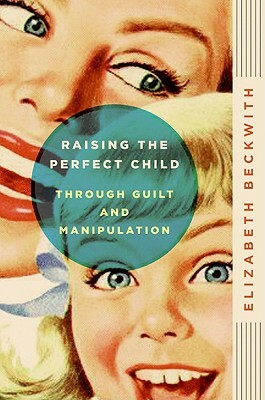 Popular actress and stand-up comedienne Elizabeth Beckwith gives us the parenting guide to end all parenting guides: Raising the Perfect Child through Guilt and Manipulation. A frequent guest on The Late, Late Show and one of seven comics featured in the Time magazine article, “Funny: The Next Generation,” Beckwith now puts forth a hilarious new parenting philosophy that would shock Dr. Spock and traumatize T. Berry Brazelton. Raising the Perfect Child through Guilt and Manipulation is a riotously irreverent take on contemporary child rearing. Elizabeth Beckwith is a stand-up comedian, writer, and actress who lives in Los Angeles with her husband, Patrick, and her children, Michael and Frances.